View cart “1500, Educa, The Card Players, Paul Cézanne” has been added to your cart. Educa manufactured this puzzle in 1997. The title is Nightfall, and there is no reference to the artist in the box. It is difficult to decide if this beautiful image is a painting or a photograph. 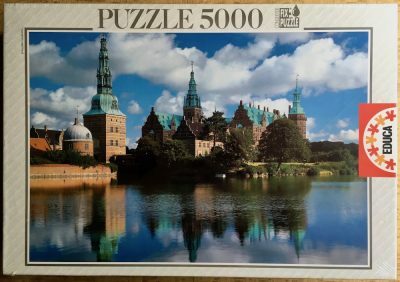 This puzzle reminds of the 4000 pieces version by Educa of the painting Beyond Hana’s Gate, by Christian Riese Lassen, even when one of them is a painting and the other one is a photograph. Puzzle size: 96 x 68 cm. Other titles: Atardecer; Abenddämmerung; La Tombée du Jour; Tramonto; Entardecer.